Don't play hockey, but want to fully experience traditional summer camp activities? This is the program for you! Our Overnight Camp Program offers campers a variety of fun land- and/or water-based activities on the shores of Eagle Lake. 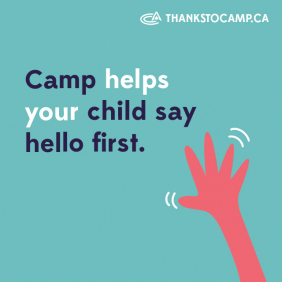 The ideal camper for our Overnight Camp program is anyone who wants an overnight summer camp experience in Northern Ontario with traditional summer camp activities. This program is designed for non hockey players, or for players who may need a break from hockey, to fully experience traditional summer camp. Spend an action packed day of "fun in the sun" participating in a variety of land and/or water activities. In addition, this program provides an opportunity for family members or friends with different activity interests to attend and experience HOC together. Campers can bunk with any friends attending the same week, providing they are within one grade or birth year of each other (regardless of which HOC program they choose). Enjoy the very best of an overnight Ontario summer camp experience with this program. Each activity has a series of skill progressions taught each day and campers work towards levels or awards within the activity. Campers in our four younger sections (approx. age 7-12 years) have a choice of four daily camp activities. Campers in our older three sections (approx. age 13-16 years) have a choice of two daily camp activities plus additional time periods of general camp programming. See list below of activity choices. Campers have the opportunity to sign up for their preferred land or water activities when they register online, but activities are confirmed on check in day. Many of our campers who are interested in staying longer than one week, enjoy combining programs at camp for the full experience. Campers like to combine one week of our Overnight Camp Program with one week of either our Overnight Hockey or Overnight Water Ski programs. What summer camp activities can Overnight Camp campers take part in?